Chandigarh (Haryana) [India], Feb 20 (ANI): Haryana Vidhan Sabha on Wednesday condemned Pulwama terror attack of February 14 in which as many as 40 jawans of CRPF were killed when they were travelling in a convoy from Jammu to Srinagar. Chandigarh (Haryana) [India], Feb 20 (ANI): Haryana Governor Satyadeo Narain Arya on Wednesday reiterated the resolve of Chief Minister Manohar Lal Khattar led BJP government to “provide affordable, accessible, equitable and quality healthcare services to the people of the state. Bengaluru [Karnataka], Feb 11 (ANI): Karnataka Congress on Monday recommended disqualification of its four MLAs who did not attend the ongoing state budget, as well as the Congress Legislative Party (CLP) meet ahead of the budget. Bengaluru (Karnataka), [India], Feb 7 (ANI): Amidst the speculation of defection, seven MLAs of the Congress and three MLAs of the BJP remained absent on the second day of Karnataka Assembly Budget Session. 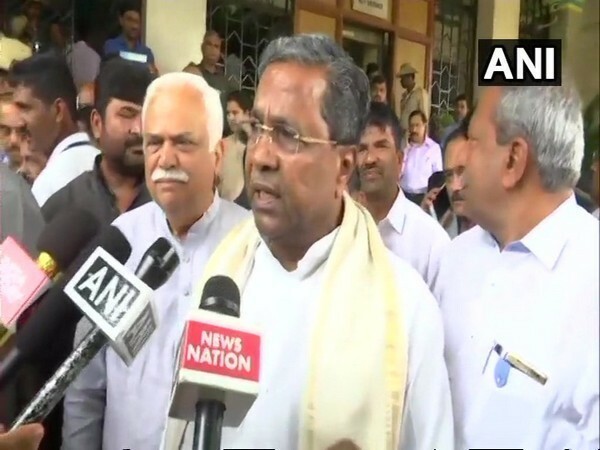 Bengaluru (Karnataka) [India], Feb 6 (ANI): Congress Legislature Party (CLP) leader Siddaramaiah has issued a whip to party legislators to be present in the state assembly during the budget session. Lucknow (Uttar Pradesh) [India], Feb 5 (ANI): Samajwadi Party (SP) members, including legislators, staged a protest against the "anti-people" BJP-led Yogi Adityanath government at the Vidhan Bhavan premises here on Tuesday ahead of the Budget session. Lucknow (Uttar Pradesh) [India], Feb 5 (ANI): Legislators of the Samajwadi Party and the Bahujan Samaj Party are set to stage a protest in the Vidhan Bhavan premises in Lucknow just ahead of the Budget session of the Uttar Pradesh Assembly beginning on Tuesday. Chandigarh (Haryana) [India], Feb 4: The Budget Session of Haryana Vidhan Sabha will commence on February 20. A decision to this effect was taken in the meeting of state Cabinet which met here under the chairmanship of Chief Minister Manohar Lal on Monday.